After our one time registration fee of $97, you can use Stealth Seminar for 30 days completely on us. You won’t be charged until day 30. From that point on it’s just $69.95 a month. You have a 30 days no questions asked 100% guarantee. Second, If during the first 60 days, something does not work like it is supposed to work you can receive a 100% refund. 3. Hybrid Events, combine automated and live. Come on after recorded presentation to take questions, etc live. 4. Live Hybrid Events. Start live, go to recorded presentation, end live to answer questions. Get started with an introductory account. This allows you to upload up to 100 unique webinars. Those webinars can be ran an unlimited number of times a month with up to 150 simultaneous attendees on your account at anyone time. You can always upgrade later. Thanks for an awesome product. We've seen a ton of success with our perpetual webinars! 1. Parties. The parties to this legal Agreement are you, and the owner of this StealthSeminar.com website business, GRG Inc.. If you are not acting on behalf of yourself as an individual, then “you”, “your”, and “yourself” means your company or organization or the person you are representing. All references to “we”, “us”, “our”, “this website” or “this site” shall be construed to mean this StealthSeminar.com website business and GRG Inc..
5. Subscription Services. Subscription services include access to the StealthSeminar System for delivering events described on this site (“Services”). We reserve the right to update and modify the Services from time to time. 11.2 In accordance with the Restore Online Shoppers Confidence Act (ROSCA), you hereby authorize GRG Inc. to charge the credit card used in the registration process, as follows: charges will be access to the StealthSeminar System for delivering events described on this site, for the dollar amount, and for the billing periods that are specified in the registration process. If the credit card authorization fails, we will request updated credit card information. However, if you do not provide updated credit card information that successfully authorizes within 72 hours after notice, we may terminate your account and rights to all Services from this site. 12. Money-Back Guarantee For Services. 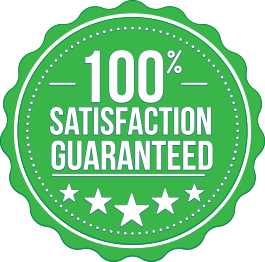 We offer two guarantees. First we offer a thirty (30) day no-questions asked money-back guarantee. If You are not satisfied with the this site’s services for any reason, you will receive a complete refund if you notify us within thirty (30) days of your registration requesting a refund under this guarantee. In addition, If during the first sixty (60) days something does not work like it is suppose to work you can receive a 100% refund. 13. Technical Support. We shall answer questions through our ticket support system during our normal business hours regarding the use of the Services. 14. Warranty Disclaimers. EXCEPT AS MAY BE PROVIDED IN ANY SEPARATE WRITTEN AGREEMENTS SIGNED BY THE PARTIES, THE SERVICES, CONTENT, AND/OR PRODUCTS ON THIS SITE ARE PROVIDED “AS-IS”, AND NEITHER WE NOR ANY OF OUR LICENSORS MAKE ANY REPRESENTATION OR WARRANTY WITH RESPECT TO SUCH PRODUCTS, SERVICES, AND/OR CONTENT. EXCEPT AS MAY BE PROVIDED IN ANY SEPARATE WRITTEN AGREEMENT SIGNED BY THE PARTIES OR SEPARATE AGREEMENT ORIGINATING FROM THIS SITE, THIS SITE AND ITS LICENSORS SPECIFICALLY DISCLAIM, TO THE FULLEST EXTENT PERMITTED BY LAW, ANY AND ALL WARRANTIES, EXPRESS OR IMPLIED, RELATING TO THIS SITE OR PRODUCTS, SERVICES AND/OR CONTENT ACQUIRED FROM THIS SITE, INCLUDING BUT NOT LIMITED TO, IMPLIED WARRANTIES OF MERCHANTABILITY, COMPLETENESS, TIMELINESS, CORRECTNESS, NON-INFRINGEMENT, OR FITNESS FOR ANY PARTICULAR PURPOSE. THIS SITE AND ITS LICENSORS DO NOT REPRESENT OR WARRANT THAT THIS SITE, ITS PRODUCTS, SERVICES, AND/OR CONTENT: (A) WILL BE SECURE, TIMELY, UNINTERRUPTED OR ERROR-FREE OR OPERATE IN COMBINATION WITH ANY OTHER HARDWARE, SOFTWARE, SYSTEM OR DATA, (B) WILL MEET YOUR REQUIREMENTS OR EXPECTATIONS, OR (C) WILL BE FREE OF VIRUSES OR OTHER HARMFUL COMPONENTS. THESE DISCLAIMERS CONSTITUTE AN ESSENTIAL PART OF THIS AGREEMENT. NO PURCHASE OR USE OF THE ITEMS OFFERED BY THIS SITE IS AUTHORIZED HEREUNDER EXCEPT UNDER THESE DISCLAIMERS. IF IMPLIED WARRANTIES MAY NOT BE DISCLAIMED UNDER APPLICABLE LAW, THEN ANY IMPLIED WARRANTIES ARE LIMITED IN DURATION TO THE PERIOD REQUIRED BY APPLICABLE LAW. SOME STATES OR JURISDICTIONS DO NOT ALLOW LIMITATIONS ON HOW LONG AN IMPLIED WARRANTY MAY LAST, SO THE ABOVE LIMITATIONS MAY NOT APPLY TO YOU. 15. Limitation of Liability. IN NO EVENT SHALL EITHER PARTY’S AGGREGATE LIABILITY EXCEED THE AMOUNTS ACTUALLY PAID BY AND/OR DUE FROM YOU IN THE SIX (6) MONTH PERIOD IMMEDIATELY PRECEDING THE EVENT GIVING RISE TO SUCH CLAIM. IN NO EVENT SHALL EITHER PARTY AND/OR ITS LICENSORS BE LIABLE TO ANYONE FOR ANY INDIRECT, PUNITIVE, SPECIAL, EXEMPLARY, INCIDENTAL, CONSEQUENTIAL OR OTHER DAMAGES OF ANY TYPE OR KIND (INCLUDING LOSS OF DATA, REVENUE, PROFITS, USE OR OTHER ECONOMIC ADVANTAGE) ARISING OUT OF, OR IN ANY WAY CONNECTED WITH THE SERVICES, INCLUDING WITHOUT LIMITATION THE USE OR INABILITY TO USE THE SERVICES, OR FOR ANY CONTENT OBTAINED FROM OR THROUGH THE SERVICES OR THIS SITE, ANY INTERRUPTION, INACCURACY, ERROR OR OMISSION, REGARDLESS OF CAUSE, EVEN IF THE PARTY FROM WHICH DAMAGES ARE BEING SOUGHT OR SUCH PARTY’S LICENSORS HAVE BEEN PREVIOUSLY ADVISED OF THE POSSIBILITY OF SUCH DAMAGES. 16. Confidential Information. You agree that all non-public information that we provide regarding the Services, including without limitation, our pricing, marketing methodology, and business processes, is our proprietary confidential information. You agree to use this confidential information only for purposes of exercising your rights as our affiliate while in strict compliance with this Agreement, and you further agree not to use or disclose this confidential information for a period of three (3) years after termination of this Agreement. 17. Each Membership Intended for Use by One Business Owner. You may not share an account among multiple business owners. 19. Export Control. This site provides Services and uses software and technology that may be subject to United States export controls administered by the U.S. Department of Commerce, the United States Department of Treasury Office of Foreign Assets Control, and other U.S. agencies and the export control regulations of Switzerland and the European Union. The user of this site (“User”) acknowledges and agrees that the site and Services shall not be used in, and none of the underlying information, software, or technology may be transferred or otherwise exported or re-exported to, countries to which the United States, Switzerland and/or the European Union maintains an embargo (collectively, “Embargoed Countries”), or to or by a national or resident thereof, or any person or entity on the U.S. Department of Treasury’s List of Specially Designated Nationals or the U.S. Department of Commerce’s Table of Denial Orders (collectively, “Designated Nationals”). The lists of Embargoed Countries and Designated Nationals are subject to change without notice. By using the Services, you represent and warrant that you are not located in, under the control of, or a national or resident of an Embargoed Country or Designated National. You agree to comply strictly with all U.S., Swiss and European Union export laws and assume sole responsibility for obtaining licenses to export or re-export as may be required. 20. Registration Data. Registration is required for you to establish an account at this site. You agree (i) to provide certain current, complete, and accurate information about you as prompted to do so by our online registration form (“Registration Data”), and (ii) to maintain and update such Registration Data as required to keep such information current, complete and accurate. You warrant that your Registration Data is and will continue to be accurate and current, and that you are authorized to provide such Registration Data. You authorize us to verify your Registration Data at any time. If any Registration Data that you provide is untrue, inaccurate, not current or incomplete, we retain the right, in its sole discretion, to suspend or terminate rights to use your account. Solely to enable us to use information you supply us internally, so that we are not violating any rights you might have in that information, you grant to us a nonexclusive license to (i) convert such information into digital format such that it can be read, utilized and displayed by our computers or any other technology currently in existence or hereafter developed capable of utilizing digital information, and (ii) combine the information with other content provided by us in each case by any method or means or in any medium whether now known or hereafter devised. 21. How We Treat Postings To This Site. We will not treat information that you post to areas of this site that are viewable by others (for example, to a blog, forum or chat-room) as proprietary, private, or confidential. We have no obligation to monitor posts to this site or to exercise any editorial control over such posts; however, we reserve the right to review such posts and to remove any material that, in our judgment, is not appropriate. Posting, transmitting, promoting, using, distributing or storing content that could subject us to any legal liability, whether in tort or otherwise, or that is in violation of any applicable law or regulation, or otherwise contrary to commonly accepted community standards, is prohibited, including without limitation information and material protected by copyright, trademark, trade secret, nondisclosure or confidentiality agreements, or other intellectual property rights, and material that is obscene, defamatory, constitutes a threat, or violates export control laws. 22. Defamation; Communications Decency Act Notice. This site is a provider of “interactive computer services” under the Communications Decency Act, 47 U.S.C. Section 230, and as such, our liability for defamation and other claims arising out of any postings to this site by third parties is limited as described therein. We are not responsible for content or any other information posted to this site by third parties. We neither warrant the accuracy of such postings or exercise any editorial control over such posts, nor do we assume any legal obligation for editorial control of content posted by third parties or liability in connection with such postings, including any responsibility or liability for investigating or verifying the accuracy of any content or any other information contained in such postings. 24. Security. You shall be solely responsible for acquiring and maintaining technology and procedures for maintaining the security of your link to the Internet. We shall implement reasonable and appropriate security procedures consistent with prevailing industry standards to protect data from unauthorized access by physical and electronic intrusion; provided, however, unless resulting from our failure to perform the forgoing obligations, you agree that we shall not, under any circumstances, be held responsible or liable for situations (i) where data or transmissions are accessed by third parties through illegal or illicit means, or (ii) where the data or transmissions are accessed through the exploitation of security gaps, weaknesses, or flaws unknown to us at the time. We will promptly report to you any unauthorized access to your data promptly upon discovery by us, and we will use diligent efforts to promptly remedy any breach of security that permitted such unauthorized access. In the event notification to persons included in your data is required, you shall be solely responsible for any and all such notifications at your expense. 25. Notices. We may give notice to you by means of (i) a general notice in your account information, (ii) by electronic mail to your e-mail address on record in your Registration Data, or (iii) by written communication sent by first class mail or pre-paid post to your address on record in your Registration Data. Such notice shall be deemed to have been given upon the expiration of forty eight (48) hours after mailing or posting (if sent by first class mail or pre-paid post) or twelve (12) hours after sending (if sent by email). You may give notice to us (such notice shall be deemed given when received by us) at any time by any of the following: (a) by letter sent by confirmed facsimile to us at the following fax number, 623-738-2004; or (b) by letter delivered by nationally recognized overnight delivery service or first class postage prepaid mail to us as follows: Geoffrey Ronning Group Inc. DBA StealthSeminar, P.O. Box 1131, , Litchfield Park, AZ 85340, in either case, addressed to the attention of “President of the Company”. Notices will not be effective unless sent in accordance with the above requirements. 26. Arbitration. Except for actions to protect intellectual property rights and to enforce an arbitrator’s decision hereunder, all disputes, controversies, or claims arising out of or relating to this Agreement or a breach thereof shall be submitted to and finally resolved by arbitration under the rules of the American Arbitration Association (“AAA”) then in effect. There shall be one arbitrator, and such arbitrator shall be chosen by mutual agreement of the parties in accordance with AAA rules. The arbitration shall take place in Phoenix, Arizona, USA, and may be conducted by telephone or online. The arbitrator shall apply the laws of State of Arizona, USA to all issues in dispute. The controversy or claim shall be arbitrated on an individual basis, and shall not be consolidated in any arbitration with any claim or controversy of any other party. The findings of the arbitrator shall be final and binding on the parties, and may be entered in any court of competent jurisdiction for enforcement. Enforcements of any award or judgment shall be governed by the United Nations Convention on the Recognition and Enforcement of Foreign Arbitral Awards. Should either party file an action contrary to this provision, the other party may recover attorney’s fees and costs up to 00.00. 27. Jurisdiction and Venue; Applicable Law. The courts of Maricopa County in the State of Arizona, USA and the nearest U.S. District Court shall be the exclusive jurisdiction and venue for all legal proceedings that are not arbitrated under this Agreement. The laws of State of Arizona, USA shall apply to all issues in dispute, excluding its rules regarding conflicts of law. 28. Severability. If any provision of this Agreement is declared invalid or unenforceable, such provision shall be deemed modified to the extent necessary and possible to render it valid and enforceable. In any event, the unenforceability or invalidity of any provision shall not affect any other provision of this Agreement, and this Agreement shall continue in full force and effect, and be construed and enforced, as if such provision had not been included, or had been modified as above provided, as the case may be. 29. Force Majeure. We shall not be liable for damages for any delay or failure of delivery arising out of causes beyond our reasonable control and without our fault or negligence, including, but not limited to, Acts of God, acts of civil or military authority, fires, riots, wars, embargoes, Internet disruptions, hacker attacks, or communications failures. 30. Survival. Those clauses the survival of which is necessary for the interpretation or enforcement of this Agreement shall continue in full force and effect in accordance with their terms notwithstanding the expiration or termination hereof. 31. U.S. Government End-Users. We provide the Web Services, including related software and technology, for ultimate federal government end use solely in accordance with the following: Government technical data and software rights related to the Web Services include only those rights customarily provided to the public as defined in this Agreement. This customary commercial license is provided in accordance with FAR 12.211 (Technical Data) and FAR 12.212 (Software) and, for Department of Defense transactions, DFAR 252.227-7015 (Technical Data and Commercial Items) and DFAR 227.7202-3 (Rights in Commercial Computer Software or Computer Software Documentation). If a government agency has a need for rights not conveyed under these terms, it must negotiate with us to determine if there are acceptable terms for transferring such rights, and a mutually acceptable written addendum specifically conveying such rights must be included in any applicable contract or agreement. Unpublished-rights reserved under the copyright laws of the United States. THIS DATA PROCESSING AGREEMENT (“DPA”) FORMS PART OF ONE OR MORE AGREEMENTS (THE “UNDERLYING AGREEMENT(S)” THAT REQUIRE GEOFFREY RONNING GROUP INC. DBA STEALTHSEMINAR.COM, TO PROVIDE CERTAIN SERVICES TO THE CUSTOMER IDENTIFIED IN THE UNDERLYING AGREEMENT(S). IN PROVIDING THE SERVICES TO CUSTOMER PURSUANT TO THE UNDERLYING AGREEMENT(S), GEOFFREY RONNING GROUP INC. DBA STEALTHSEMINAR.COM MAY PROCESS PERSONAL DATA ON BEHALF OF CUSTOMER. IF AND TO THE EXTENT GEOFFREY RONNING GROUP INC. DBA STEALTHSEMINAR.COM PROCESSES PERSONAL DATA ON BEHALF OF CUSTOMER, THE PARTIES WILL BE SUBJECT TO THE GDPR AND APPLICABLE DATA PROTECTION LAWS AND REGULATIONS. IF AND TO THE EXTENT GEOFFREY RONNING GROUP INC. DBA STEALTHSEMINAR.COM PROCESSES PERSONAL DATA ON BEHALF OF CUSTOMER, CUSTOMER WILL BE ACTING IN THE CAPACITY OF CONTROLLER, AND GEOFFREY RONNING GROUP INC. DBA STEALTHSEMINAR.COM WILL BE ACTING IN THE CAPACITY OF PROCESSOR. REFERENCES TO THE UNDERLYING AGREEMENT(S) WILL BE CONSTRUED AS INCLUDING THIS DPA. GEOFFREY RONNING GROUP INC. DBA STEALTHSEMINAR.COM AGREES TO COMPLY WITH THE FOLLOWING PROVISIONS WITH RESPECT TO ANY PERSONAL DATA PROCESSED FOR CUSTOMER IN CONNECTION WITH THE PROVISION OF THE SERVICES. CUSTOMER INDICATES ITS AGREEMENT TO COMPLY WITH THE FOLLOWING PROVISIONS WITH RESPECT TO ANY PERSONAL DATA PROCESSED FOR BY GEOFFREY RONNING GROUP INC. DBA STEALTHSEMINAR.COM EITHER BY (i) CUSTOMER INDICATING ITS ACCEPTANCE OF THE UNDERLYING AGREEMENT(s), OR (ii) BY ACCESSING OR USING THE SERVICES. 1.1	“Affiliate” means any entity that directly or indirectly controls, is controlled by, or is under common control with the Customer entity signing this DPA. "Control," for purposes of this definition, means direct or indirect ownership or control of more than 50% of the voting interests of the subject entity. 1.2	“Authorized Affiliate” means any of Customer's Affiliate(s) which (a) is subject to the data protection laws and regulations of the European Union, the European Economic Area and/or their member states, Switzerland and/or the United Kingdom, and (b) is permitted to use the Services pursuant to the DPA between Customer and Geoffrey Ronning Group Inc. DBA STEALTHSEMINAR.COM but has not signed its own agreement or order form with Geoffrey Ronning Group Inc. and is not a "Customer" as defined under this DPA. 1.3	“Controller” means the entity which determines the purposes and means of the Processing of Personal Data. 1.4	“Customer Data” means all electronic data submitted by or on behalf of Customer, or an Authorized Affiliate, to Geoffrey Ronning Group Inc.’s DBA STEALTHSEMINAR.COM Services. 1.5	“DPA” means these terms and conditions including Attachment 1 to Exhibit attached (Standard Contractual Clauses including related Appendices). 1.6	“Data Protection Laws and Regulations” means all applicable laws and regulations, including laws and regulations of the European Union, the European Economic Area and their member states, Switzerland and the United Kingdom, applicable to the Processing of Personal Data under this DPA, including without limitation the GDPR and laws implementing or supplementing the GDPR. 1.7	“Data Subject” means the identified or identifiable person to whom Personal Data relates. 1.8	“GDPR” means the Regulation (EU) 2016/679 of the European Parliament and of the Council of 27 April 2016 on the protection of natural persons with regard to the processing of personal data and on the free movement of such data, and repealing Directive 95/46/EC (General Data Protection Regulation). 1.9	“Personal Data” means any Customer Data relating to (i) an identified or identifiable natural person, and (ii) an identified or identifiable legal entity (where such information is protected similarly as personal data or personally identifiable information under applicable Data Protection Laws and Regulations). 1.10	“Processing” and “Process” mean any operation or set of operations which is performed upon Personal Data, whether or not by automatic means, such as collection, recording, organization, structuring, storage, adaptation or alteration, retrieval, consultation, use, disclosure by transmission, dissemination or otherwise making available, alignment or combination, restriction, erasure or destruction. 1.11	“Processor” means the entity which Processes Personal Data on behalf of the Controller. 1.12	“Trust & Compliance Documentation” means the documentation regarding privacy, data security, and Sub-processor information applicable to the specific Services purchased by Customer, as may be updated periodically, and accessible via Geoffrey Ronning Group Inc.’s DBA STEALTHSEMINAR.COM website at http://onlinemeetingnow.com/trustandcompliance.com, or as otherwise made reasonably available by Geoffrey Ronning Group Inc. DBA STEALTHSEMINAR.COM. 1.13	“Services” means the software-as-a-service (SaaS) provided by Geoffrey Ronning Group Inc. DBA STEALTHSEMINAR.COM for webinar services. 1.14	“Standard Contractual Clauses” means the agreement executed by and between Customer and Geoffrey Ronning Group Inc. DBA STEALTHSEMINAR.COM and attached as Attachment 1 to Exhibit A, pursuant to the European Commission’s decision (C(2010)593) of 5 February 2010 on Standard Contractual Clauses for the transfer of personal data to processors established in third countries which do not ensure an adequate level of data protection. 1.15	“Sub-processor” means any Processor engaged by Geoffrey Ronning Group Inc. DBA STEALTHSEMINAR.COM. 1.16	“Supervisory Authority” means an independent public authority which is established by an EU Member State pursuant to the GDPR. 2. Services. Geoffrey Ronning Group Inc. DBA STEALTHSEMINAR.COM provides the Services to Customer under the Underlying Agreement(s). In connection with the Services, the parties anticipate that Geoffrey Ronning Group Inc. DBA STEALTHSEMINAR.COM may Process Customer Data that contains Personal Data relating to Data Subjects. 3. Designation of Controller and Processor. The parties agree that with regard to the Processing of Personal Data, Customer is the Controller, Geoffrey Ronning Group Inc. DBA STEALTHSEMINAR.COM is the Processor, and that Geoffrey Ronning Group Inc. DBA STEALTHSEMINAR.COM will engage Sub-processors pursuant to the requirements of this DPA. 4.1	Geoffrey Ronning Group Inc. DBA STEALTHSEMINAR.COM will Process Personal Data in accordance with the Data Protection Laws and Regulations that are directly applicable to Geoffrey Ronning Group Inc.'s DBA STEALTHSEMINAR.COM provision of the Services. 4.2	Customer shall in its use of the Services, Process Personal Data in accordance with the Data Protection Laws and Regulations. Customer’s instructions to Geoffrey Ronning Group Inc. DBA STEALTHSEMINAR.COM for the Processing of Personal Data shall comply with Data Protection Laws and Regulations; provided, however, that as of the Effective Date hereof, Customer’s initial and complete instructions to Geoffrey Ronning Group Inc. DBA STEALTHSEMINAR.COM for the Processing of Personal Data are provided to Geoffrey Ronning Group Inc. DBA STEALTHSEMINAR.COM in the Underlying Agreement(s). Customer shall have sole responsibility for the accuracy, quality, and legality of Personal Data and the means by which Customer acquired Personal Data. 5. Processing Purposes; Confidentiality. Geoffrey Ronning Group Inc. DBA STEALTHSEMINAR.COM shall keep Personal Data confidential in accordance with the Underlying Agreement(s) and shall only Process Personal Data on behalf of and in accordance with Customer’s documented instructions for the following purposes: (i) Processing in accordance with the Underlying Agreement(s) and applicable order form(s); (ii) Processing initiated by Users in their use of the Services; and (iii) Processing to comply with other documented, reasonable instructions provided by Customer (for example, via email) where such instructions are consistent with the terms of the Underlying Agreement. Geoffrey Ronning Group Inc. DBA STEALTHSEMINAR.COM shall not be required to comply with or observe Customer’s instructions if such instructions would violate the applicable Data Protection Laws and Regulations. 6. Scope of Processing. The subject-matter and scope of Processing of Personal Data by Geoffrey Ronning Group Inc. DBA STEALTHSEMINAR.COM is limited to the performance of the Services pursuant to the Underlying Agreement(s). The duration of the Processing, the nature and purpose of the Processing, the types of Personal Data and categories of Data Subjects Processed under this DPA are further specified in Appendix 1 to Attachment 1 (Exhibit A) to this DPA. 7. Data Subject Requests. To the extent legally permitted, Geoffrey Ronning Group Inc.DBA STEALTHSEMINAR.COM shall promptly notify Customer if Geoffrey Ronning Group Inc. DBA STEALTHSEMINAR.COM receives a request from a Data Subject to exercise the Data Subject's right of access, right to rectification, restriction of Processing, erasure (“right to be forgotten”), data portability, object to the Processing, or its right not to be subject to an automated individual decision making (“Data Subject Request”). Factoring into account the nature of the Processing, Geoffrey Ronning Group Inc. DBA STEALTHSEMINAR.COM shall assist Customer by appropriate organizational and technical measures, insofar as this is possible, for the fulfilment of Customer’s obligation to respond to a Data Subject Request under Data Protection Laws and Regulations. In addition, to the extent Customer, in its use of the Services, does not have the ability to address a Data Subject Request, Geoffrey Ronning Group Inc. DBA STEALTHSEMINAR.COM shall, upon Customer’s request, provide commercially-reasonable efforts to assist Customer in responding to such Data Subject Request, to the extent that Geoffrey Ronning Group Inc. DBA STEALTHSEMINAR.COM is legally authorized to do so, and the response to such Data Subject Request is required under Data Protection Laws and Regulations. To the extent legally permitted, Customer shall be responsible for any costs arising from Geoffrey Ronning Group Inc.’s DBA STEALTHSEMINAR.COM provision of such assistance. 8. Geoffrey Ronning Group Inc. DBA STEALTHSEMINAR.COM Personnel. Geoffrey Ronning Group Inc. DBA STEALTHSEMINAR.COM shall ensure that its personnel engaged in the Processing of Personal Data are informed of the confidential nature of the Personal Data, have received appropriate training regarding their responsibilities, and have executed written confidentiality agreements. Geoffrey Ronning Group Inc. DBA STEALTHSEMINAR.COM shall take commercially-reasonable steps to ensure the reliability of any Geoffrey Ronning Group Inc. DBA STEALTHSEMINAR.COM personnel engaged in the Processing of Personal Data. Geoffrey Ronning Group Inc. DBA STEALTHSEMINAR.COM shall ensure that Geoffrey Ronning Group Inc.’s DBA STEALTHSEMINAR.COM access to Personal Data is limited to those personnel assisting in the provision of the Services in accordance with the Underlying Agreement(s). 9. Data Protection Officer. Geoffrey Ronning Group Inc. DBA STEALTHSEMINAR.COM shall have appointed, or shall appoint, a data protection officer, provided that such appointment is required by Data Protection Laws and Regulations. 10. Geoffrey Ronning Group Inc.’s DBA STEALTHSEMINAR.COM Sub-processors. 10.1	Customer acknowledges and agrees that Geoffrey Ronning Group Inc. DBA STEALTHSEMINAR.COM may engage third-party Sub-processors in connection with the provision of the Services. Geoffrey Ronning Group Inc. DBA STEALTHSEMINAR.COM agrees to publish a current list of Sub-processors via Geoffrey Ronning Group Inc.’s DBA STEALTHSEMINAR.COM applicable Trust & Compliance Documentation. Geoffrey Ronning Group Inc. DBA STEALTHSEMINAR.COM agrees to promptly notify Customer regarding Geoffrey Ronning Group Inc.’s DBA STEALTHSEMINAR.COM appointment of any new third-party Sub-processor. 10.2	In order to exercise its right to object to Geoffrey Ronning Group Inc.’s DBA STEALTHSEMINAR.COM use of a new Sub-processor, Customer shall notify Geoffrey Ronning Group Inc. DBA STEALTHSEMINAR.COM promptly in writing within ten (10) business days after receipt of Geoffrey Ronning Group Inc.’s DBA STEALTHSEMINAR.COM notice regarding the appointment of each third-party Sub-processor. In the event Customer objects to a new Sub-processor, and that objection is not unreasonable, Geoffrey Ronning Group Inc. DBA STEALTHSEMINAR.COM will use reasonable efforts to make available to Customer a change in the Services or recommend a commercially-reasonable change to Customer’s configuration or use of the Services to avoid Processing of Personal Data by the objected-to new Sub-processor without unreasonably burdening the Customer. If Geoffrey Ronning Group Inc. DBA STEALTHSEMINAR.COM is unable to make available such change within a reasonable time period, which shall in no event exceed thirty (30) days, Customer may terminate the applicable order form(s) with respect only to those aspects of the Services which cannot be provided by Geoffrey Ronning Group Inc. DBA STEALTHSEMINAR.COM without the use of the objected-to new Sub-processor by providing written notice to Geoffrey Ronning Group Inc. DBA STEALTHSEMINAR.COM Geoffrey Ronning Group Inc. DBA STEALTHSEMINAR.COM will refund Customer any prepaid fees covering the remainder of the term of such order form(s) following the effective date of termination with respect to such terminated Services. If termination of applicable order form(s) is not feasible, then Customer may terminate the Underlying Agreement(s) by thirty (30) days prior written notice to Geoffrey Ronning Group Inc. DBA STEALTHSEMINAR.COM. 10.3	Upon request, Geoffrey Ronning Group Inc. DBA STEALTHSEMINAR.COM will provide to Customer copies of Sub-processor agreements; provided, however, that to the extent that such Sub-processor agreements contain commercial information or provisions unrelated to information required by applicable Data Protection Laws and Regulations, such unrelated information may be removed by Geoffrey Ronning Group Inc. DBA STEALTHSEMINAR.COM in its discretion. 11. Flow Down Provisions for Sub-processor Agreements. Liability for Sub-processors. 11.1	Geoffrey Ronning Group Inc. DBA STEALTHSEMINAR.COM shall impose the same obligations of Geoffrey Ronning Group Inc. DBA STEALTHSEMINAR.COM regarding GDPR hereunder to its Sub-processors. 11.2	Geoffrey Ronning Group Inc. DBA STEALTHSEMINAR.COM shall be liable for the acts and omissions of its Sub-processors to the same extent Geoffrey Ronning Group Inc. DBA STEALTHSEMINAR.COM would be liable if performing the services of each Sub-processor directly under the terms of this DPA, except as otherwise set forth in the Underlying Agreement(s). 12. Security Measures. Geoffrey Ronning Group Inc. DBA STEALTHSEMINAR.COM shall maintain appropriate organizational and technical measures for protection of the security (including protection against unauthorized or unlawful Processing, and against unlawful or accidental destruction, alteration or damage or loss, unauthorized disclosure of, or access to, Customer Data), confidentiality, and integrity of Customer Data, as set forth in Geoffrey Ronning Group Inc.’s DBA STEALTHSEMINAR.COM applicable Trust & Compliance Documentation. Geoffrey Ronning Group Inc. DBA STEALTHSEMINAR.COM regularly monitors compliance with these measures. Geoffrey Ronning Group Inc. DBA STEALTHSEMINAR.COM will not materially decrease the overall security of the Services during Customer’s and/or Customer’s Authorized Affiliates’ subscription term. 13. Third-Party Certifications and Audit Results. Geoffrey Ronning Group Inc. DBA STEALTHSEMINAR.COM has attained the third-party certifications and audit results set forth in the Trust & Compliance Documentation. Upon Customer’s written request at reasonable intervals, and subject to the confidentiality obligations set forth in the Underlying Agreement(s), Geoffrey Ronning Group Inc. DBA STEALTHSEMINAR.COM shall make available to Customer a copy of Geoffrey Ronning Group Inc.’s DBA STEALTHSEMINAR.COM then most recent third-party certifications or audit results, as applicable. 14. Notifications Regarding Customer Data. Geoffrey Ronning Group Inc. DBA STEALTHSEMINAR.COM shall (i) implement and maintain reasonable and appropriate data security and incident management policies and procedures, as specified in the Trust & Compliance Documentation, and (ii) notify Customer without undue delay after becoming aware of the unlawful or accidental destruction, alteration or damage or loss, unauthorized disclosure of, or access to, Customer Data, including Personal Data, transmitted, stored or otherwise Processed by Geoffrey Ronning Group Inc. DBA STEALTHSEMINAR.COM or its Sub-processors of which Geoffrey Ronning Group Inc. DBA STEALTHSEMINAR.COM becomes aware (hereinafter, a “Customer Data Incident”), as required to assist the Customer in ensuring compliance with its obligations to notify the Supervisory Authority in the event of Personal Data breach. Geoffrey Ronning Group Inc. DBA STEALTHSEMINAR.COM shall make reasonable efforts to identify the cause of such Customer Data Incident, and take those steps as Geoffrey Ronning Group Inc. DBA STEALTHSEMINAR.COM deems necessary and reasonable in order to remediate the cause of such a Customer Data Incident, to the extent that the remediation is within Geoffrey Ronning Group Inc.’s DBA STEALTHSEMINAR.COM reasonable control. The obligations set forth herein shall not apply to incidents that are caused by either Customer or Customer’s Users. 15. Return of Customer Data. Geoffrey Ronning Group Inc. DBA STEALTHSEMINAR.COM shall return Customer Data to Customer, and to the extent allowed by applicable law, delete Customer Data in accordance with the procedures and time periods specified in the Trust & Compliance Documentation, unless the retention of the data is requested from Geoffrey Ronning Group Inc. DBA STEALTHSEMINAR.COM according to mandatory statutory laws. 16. Authorized Affiliates. The parties agree that, by executing this DPA, the Customer enters into this DPA on behalf of itself, and as applicable, in the name and on behalf of its Authorized Affiliate(s), thereby establishing a separate DPA between Geoffrey Ronning Group Inc. DBA STEALTHSEMINAR.COM and each such Authorized Affiliate, subject to the provisions of the Underlying Agreement(s). Each Authorized Affiliate agrees to be bound by the obligations under this DPA, and to the extent applicable, the Underlying Agreement(s). An Authorized Affiliate is not and does not become a party to the Underlying Agreement(s), and is only a party to this DPA. All access to and use of the Services by Authorized Affiliate(s) must comply with the terms and conditions of the Underlying Agreement(s) and any violation thereof by an Authorized Affiliate shall be deemed a violation by Customer. 17. Communications. The Customer that is the contracting party to the Underlying Agreement(s) shall remain responsible for coordinating all communication with Geoffrey Ronning Group Inc. under this DPA, and shall be entitled to transmit and receive any communication in relation to this DPA on behalf of its Authorized Affiliate(s). 18. Exercise of Rights. Where an Authorized Affiliate becomes a party to the DPA, it shall to the extent required under applicable Data Protection Laws and Regulations be entitled to exercise the rights and seek remedies under this DPA, except where applicable Data Protection Laws and Regulations require the Authorized Affiliate to exercise a right or seek any remedy under this DPA against Geoffrey Ronning Group Inc. DBA STEALTHSEMINAR.COM directly by itself, the parties agree that (i) solely the Customer that is the contracting party to the Underlying Agreement(s) shall exercise any such right or seek any such remedy on behalf of the Authorized Affiliate, and (ii) the Customer that is the contracting party to the Underlying Agreement(s) shall exercise any such rights under this DPA in a combined manner for all of its Authorized Affiliates together, instead of doing so separately for each Authorized Affiliate. 19. Liability. Each party’s liability, taken together in the aggregate, arising out of or related to this DPA, and all DPAs involving Customer’s Authorized Affiliates, whether in contract, tort or under any other theory of liability, is subject to the limitation of liability, damage waiver, and liability cap provisions of the Underlying Agreement(s), and any reference in such section to the liability of a party means the aggregate liability of that party and all of its Affiliates under the Underlying Agreement(s) and all DPAs taken together. Geoffrey Ronning Group Inc.'s DBA STEALTHSEMINAR.COM and its Affiliates’ total liability for all claims from the Customer and all of its Authorized Affiliates arising out of or related to the Underlying Agreement(s) and each DPA shall apply in the aggregate for all claims under both the Underlying Agreement(s) and all DPAs established under this Agreement, including by Customer and all of Customer’s Authorized Affiliates, and shall not be understood to apply individually and severally to Customer and/or to any Authorized Affiliate that is a contractual party to any such DPA. Each reference to the DPA herein means this DPA including its Attachments and Appendices. 21. Data Protection Impact Assessment. Upon Customer’s request, Geoffrey Ronning Group Inc. DBA STEALTHSEMINAR.COM shall provide Customer with reasonable cooperation and assistance needed to fulfil Customer’s obligation under the GDPR to carry out a data protection impact assessment related to Customer’s use of the Services, to the extent Customer does not otherwise have access to the relevant information, and to the extent such information is available to Geoffrey Ronning Group Inc.. Geoffrey Ronning Group Inc. DBA STEALTHSEMINAR.COM shall provide reasonable assistance to Customer in the cooperation or prior consultation with the Supervisory Authority in the performance of its tasks relating to this Section 21 of this DPA, to the extent required under the GDPR. 22.2	For the purposes of Clause 5 of the Standard Contractual Clauses, the following is deemed an instruction by the Customer to process Personal Data: (a) Processing in accordance with the Underlying Agreement(s) and applicable order form(s); (b) Processing initiated by Users in their use of the Services and (c) Processing to comply with other reasonable instructions provided by Customer (e.g., via email) where such instructions are consistent with the terms of the Underlying Agreement(s). 22.3	The parties agree that the audits described in Clause 5 and Clause 12 of the Standard Contractual Clauses shall be carried out in accordance with the following specifications: following Customer’s written request, and subject to the confidentiality obligations set forth in the Underlying Agreement(s), Geoffrey Ronning Group Inc. DBA STEALTHSEMINAR.COM shall make available to Customer information regarding the Geoffrey Ronning Group Inc.’s DBA STEALTHSEMINAR.COM compliance with the obligations set forth in this DPA in the form of the third-party certifications and audits set forth in the Trust & Compliance Documentation, to the extent that Geoffrey Ronning Group Inc. DBA STEALTHSEMINAR.COM makes them generally available to its customers. 22.4	The parties agree that the certification of deletion of Personal Data that is described in Clause 12 of the Standard Contractual Clauses shall be provided by Geoffrey Ronning Group Inc. DBA STEALTHSEMINAR.COM to Customer only upon Customer’s request. 23. Audits. Customer may contact Geoffrey Ronning Group Inc. DBA STEALTHSEMINAR.COM in accordance with the “Notices” Section of the Underlying Agreement(s) to request an on-site audit of the procedures relevant to the protection of Personal Data. Customer shall reimburse Geoffrey Ronning Group Inc. for any time expended for any such on-site audit at the Geoffrey Ronning Group Inc.’s DBA STEALTHSEMINAR.COM then-current professional services rates, which shall be made available to Customer upon request. Before the commencement of any such on-site audit, Customer and Geoffrey Ronning Group Inc. DBA STEALTHSEMINAR.COM shall mutually agree upon the scope, timing, and duration of the audit in addition to the reimbursement rate for which Customer shall be responsible. All reimbursement rates shall be reasonable, taking into account the resources expended by Geoffrey Ronning Group Inc. DBA STEALTHSEMINAR.COM .Customer shall promptly notify Geoffrey Ronning Group Inc. DBA STEALTHSEMINAR.COM and provide information about any actual or suspected non-compliance discovered during an audit. The provision in this section shall by no means derogate from or materially alter the provisions on audits as specified in the Standard Contractual Clauses. 24. Assignment. This DPA shall inure to the benefit of, and be binding upon, any successor to all or substantially all of the business and assets of either party, whether by merger, sale of assets, or other agreements or operation of law. 25. Force Majeure. Except for the obligation to make payments, neither party will be liable for any failure or delay in its performance under this Agreement due to any cause beyond its reasonable control, including acts of war, terrorism, acts of God, epidemic, earthquake, flood, embargo, riot, sabotage, labor shortage or dispute, governmental act or complete or partial failure of the Internet, provided that the delayed party: (i) gives the other party prompt notice of such cause, and (ii) uses its reasonable commercial efforts to promptly correct such failure or delay in performance. 26.1	With respect to the rights and obligation of the parties vis-à-vis each other, in the event of a conflict between the terms of the Underlying Agreement(s) and this DPA, the terms of this DPA will control. 26.2	In the event of a of a conflict between the terms of this DPA and the Standard Contractual Clauses, the terms of the Standard Contractual Clauses will control. 27. Miscellaneous. This Agreement constitutes the entire understanding of the parties with respect to the subject matter of this Agreement and merges all prior communications, understandings, and agreements. This Agreement may be modified only by a written agreement signed by the parties. The failure of either party to enforce at any time any of the provisions hereof shall not be a waiver of such provision, or any other provision, or of the right of such party thereafter to enforce any provision hereof. If any provision of this Agreement is declared invalid or unenforceable, such provision shall be deemed modified to the extent necessary and possible to render it valid and enforceable. In any event, the unenforceability or invalidity of any provision shall not affect any other provision of this Agreement, and this Agreement shall continue in full force and effect, and be construed and enforced, as if such provision had not been included, or had been modified as above provided, as the case may be. The data importer shall not subcontract any of its processing operations performed on behalf of the data exporter under the Clauses without the prior written consent of the data exporter. Where the data importer subcontracts its obligations under the Clauses, with the consent of the data exporter, it shall do so only by way of a written agreement with the subprocessor which imposes the same obligations on the subprocessor as are imposed on the data importer under the Clauses1. Where the subprocessor fails to fulfil its data protection obligations under such written agreement the data importer shall remain fully liable to the data exporter for the performance of the subprocessor's obligations under such agreement. The data importer is: Geoffrey Ronning Group Inc. DBA STEALTHSEMINAR.COM, provider of the Services to the data exporter and which processes Personal Data upon the instruction of the data exporter and in accordance with the Underlying Agreement(s) and this DPA. Geoffrey Ronning Group Inc. DBA STEALTHSEMINAR.COM shall maintain administrative, physical and technical safeguards for protection of the security, confidentiality and integrity of Customer Data, including Personal Data, as set forth in the Trust & Compliance Documentation. Geoffrey Ronning Group Inc. DBA STEALTHSEMINAR.COM regularly monitors compliance with these safeguards. Geoffrey Ronning Group Inc. DBA STEALTHSEMINAR.COM will not materially decrease the overall security of the Services during a subscription term. I have read and agreed with your terms of service. Please proceed with my order.